This recipe originated with my brother Jamie, who used to make it when he lived and worked at a fire station while going to college. Over the years I’ve embellished it with a variety of condiments. 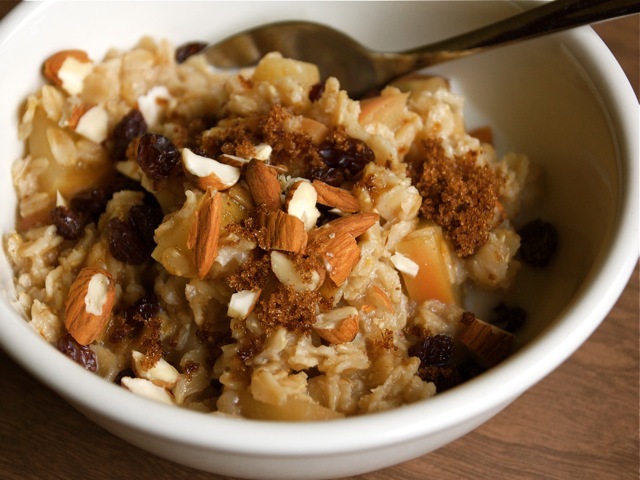 To serve, divide oatmeal into bowls. On the table place a pitcher of milk and small bowls filled with your choice of sweeteners, chopped nuts, and dried fruit. Let each person garnish the oatmeal to his or her taste.